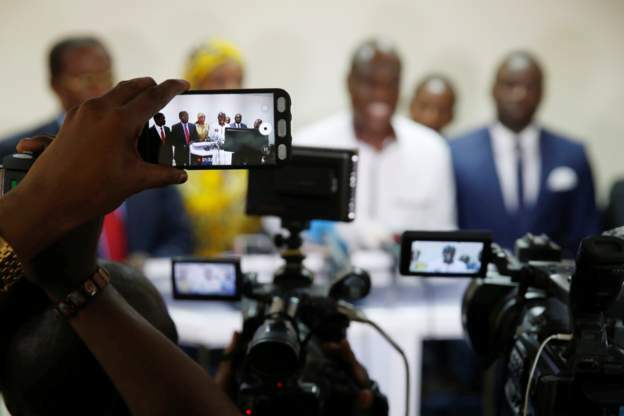 KINSHASHA – Authorities in the Democratic Republic of Congo have blocked a TV station that is seen as pro-opposition from broadcasting, amid growing tension after Sunday’s presidential election. Canal Congo Television has had its accreditation taken away by the government, reports BBC Africa. The same thing has happened to broadcaster Radio France International. Both were accused of broadcasting election results ahead of an official announcement. Internet access has been blocked by the authorities since Monday, and people are unable to send text messages. Canal Congo Television’s boss, Jean-Jacques Mamba, is quoted on Virunga Business radio as saying: “Indeed, we do not have a signal. Government spokesman Lambert Mende accused Radio France Internationale (RFI) correspondent in Kinshasa, Florence Morice, of violating electoral law and “the code of good conduct for foreign journalists covering the elections”. “We are not going to let radio stations throw petrol on the flames at a time when we are waiting for the compilation of the provisional results,” Mende said. Mende said authorities also cut the signal of local Canal Congo television, seen as close to the opposition, for broadcasting election results ahead of an official announcement. The election result is expected on 6 January. However, information coming in indicates that provisional results long-delayed election could be pushed back past Sunday’s deadline, the country’s electoral commission has said, as ballots trickle in and tensions prevail over the vote count. 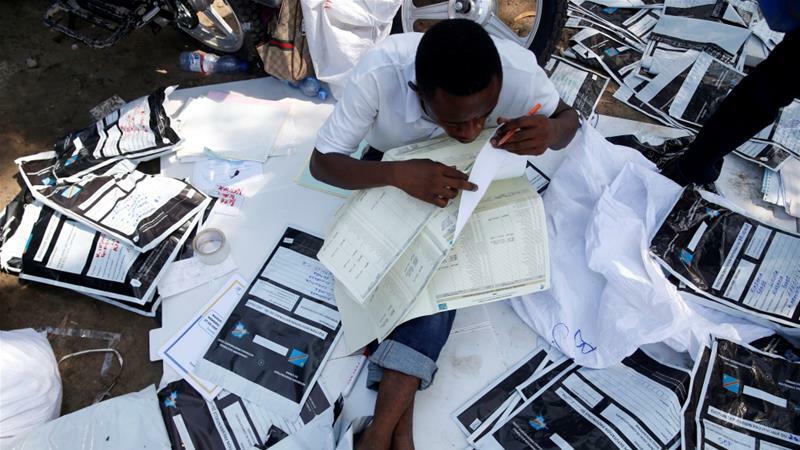 As of Wednesday, three days after the election, counting centres had received just 17 percent of the tally sheets drawn up by individual polling stations, the president of the CENI electoral commission, Corneille Nangaa, said according to Aljazeera.